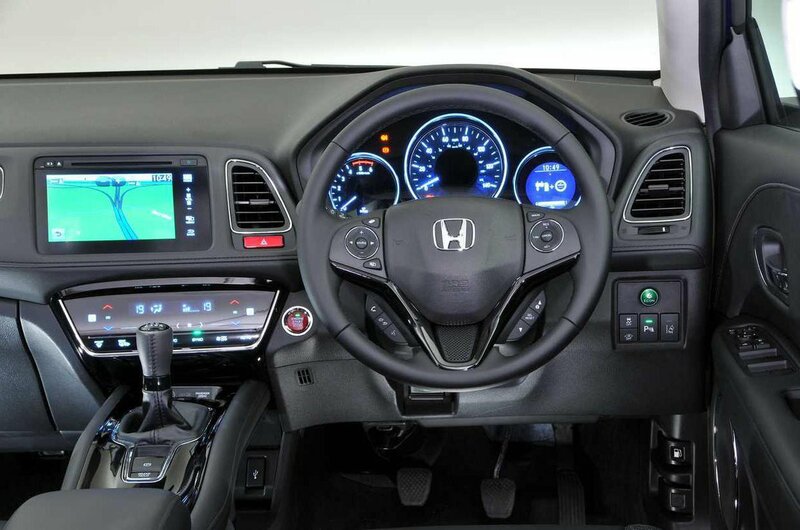 Honda HR-V Interior, Sat Nav, Dashboard | What Car? The HR-V’s driving position isn't particularly lofty, which means it feels more like a high-riding hatchback rather than a proper SUV from the driver’s seat. However, the same is true in many rival SUVs, including the VW T-Roc and Seat Arona. 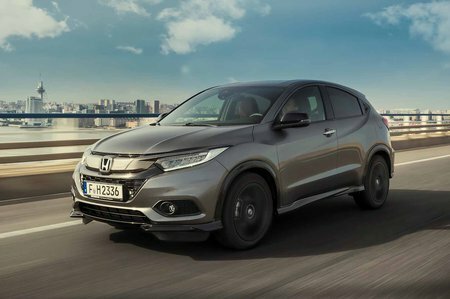 The seat is comfortable, though, and there’s enough adjustment to it and the steering wheel to suit drivers or most shapes and sizes. Driver seat-height adjustment is standard on every trim, but lumbar adjustment doesn’t feature on any HR-V – even as an option. The dash is mostly logically laid out, so you’re rarely caught searching for buttons rather than paying attention to the road, although we would prefer dials for controlling the interior temperature rather than fiddling touch sensitive pads. The driver gets a good forward view thanks to the HR-V’s tall, broad windscreen and thin front pillars. Even though the window-line feels higher than in many rivals, there’s still enough depth to the side windows to ensure decent visibility at junctions and roundabouts, too. Over-the-shoulder visibility isn’t quite so good, because the HR-V’s pinched rear styling means the rear windscreen is relatively small. Even so, front and rear parking sensors come as standard from mid-level SE trim – our preferred choice. A rear view camera comes as standard on range-topping EX models, although it’s a little disappointing you can’t even add rear sensors to entry-level S cars as an option. Entry-level S models get a very basic colour screen with shortcut buttons dotted around the outside. It works well enough and the buttons are easy to spot and hit on the move. A CD player, Bluetooth, DAB radio and a multi-function steering wheel are all included, too. Our favourite SE trim, and the posher trims have, get a completely different system – a 7.0in touchscreen without any physical buttons around the outside, which gives it a cleaner look. Sadly, it's nowhere near as intuitive as the best touchscreens in the class (VW T-Roc), let alone the rotary controller-interfaced systems like the one in the Audi Q2. 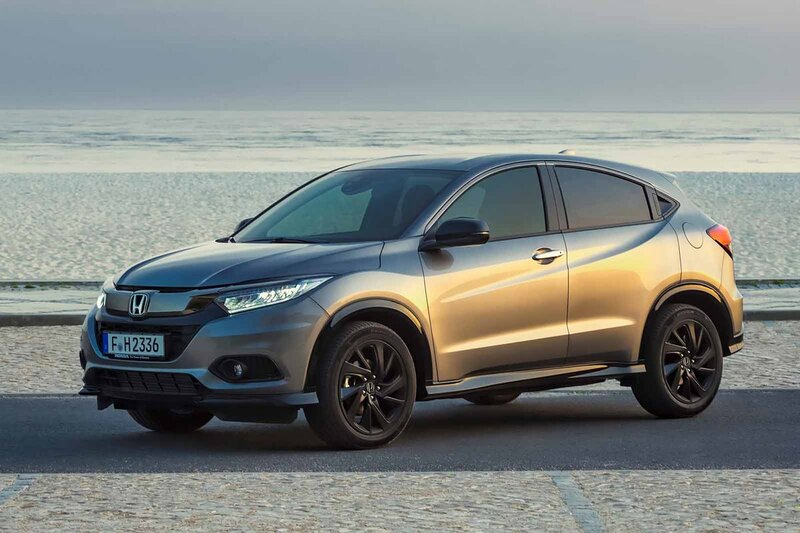 The HR-V is certainly one of the better cars in the small SUV class for quality. A good blend of textured materials and well-damped switchgear give the HR-V a pretty classy interior by the standards of small SUVs. Some cheaper-feeling plastics on top of the dashboard let the side down slightly, but everything feels solidly put together. In short, it's no Audi Q2, but it's classier inside than a VW T-Roc. Happily, this is the case from the bottom of the range to the top, but there’s no denying that range-topping EX cars feel even plusher inside. Their standard leather seats and leather door trims add an extra sense of luxury over the cloth seats of S and SE models.